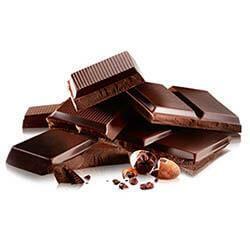 Delicious Chocolate products, bars, sweets, and treats. Check offer here : Mars Offer . Cadbury White Buttons Offer . CADBURY FLAKE 99 144 bars in each box The crumbliest flakiest milk chocolate For ice cream & ..
Fruit & Nut: Cadburys Standard Bar.Tags: Chocolate, Bars, Cadburys, Fruit & Nut, Wholesale..
Bournville: Cadburys Standard Bar.Tags: Chocolate, Bars, Cadburys, Bournville, Wholesale Sweets..
Caramel: Cadburys Standard Bar.Tags: Chocolate, Bars, Cadburys, Caramel, Wholesale Sweets,..
Caramello: Cadburys Standard Bar.Tags: Chocolate, Bars, Cadburys, Caramello, Wholesale Swe..
Childrens Dairy Milk: Cadburys Kids Bars.Tags: Chocolate, Bars, Cadburys, Childrens Dairy Milk,..
Chomp: Cadburys Kids Bars.Tags: Chocolate, Bars, Cadburys, Chomp, Wholesale Sweets, Confectione..